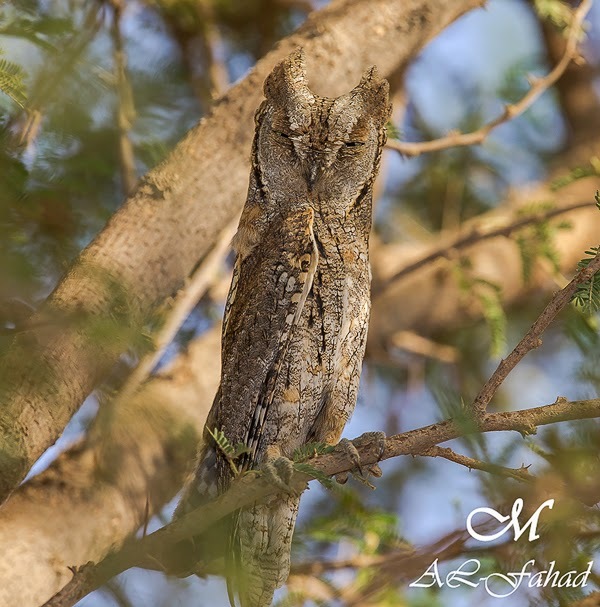 The Eurasian Scops Owl is a very small owl that is an uncommon passage migrant and is strictly nocturnal. They can sometimes be found roosting in dense foliage during the day but a sharp eye is needed to locate them. 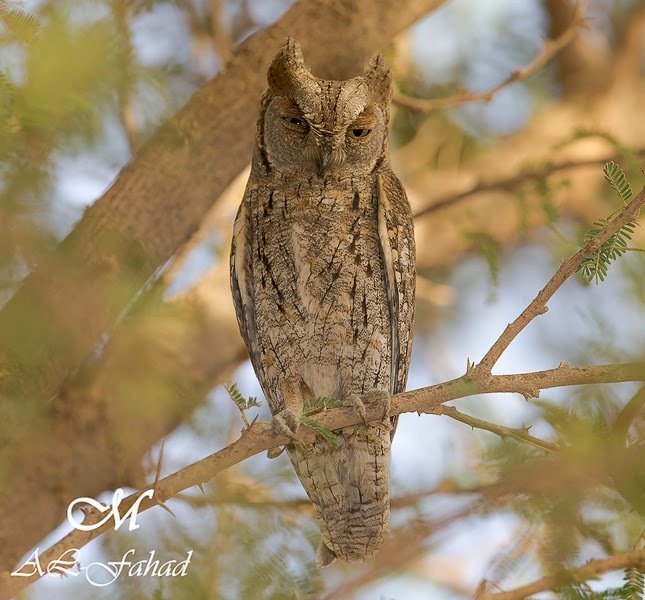 This Scops Owl was seen about 60 kilomentres northeast of Zulfi in Al Haski Vale where Acacia trees were present and was found with the help of a Hunter (Abdullah al Mohatresh) who informed Mansur about it. These photos were sent to me by Mansur Al Fahad and were taken in the north of the Kingdom in early October (Hajj holiday) 2014. Masur has kindly allowed me to use the photos on my website which are reproduced below.